Well, as most of you know I bought a boat and sold my Banshee. What a mistake! I don't like boating like I thought I would and now I've found myself wanting to sell the boat and get another quad. Riding is in my blood and I have to get back in the saddle! I'm not going with another Banshee though. I'm most likely going to get another YFZ450. I loved riding my wife's and I always kind of wanted one for myself, so who knows, I may get one. Hell yeah man! A yfz would be sweet! LOL. Ive know many people that have done the same thing. I used to ride Jet skis everyday and settled on just the atv's instead. Boating just never has been my thing. Especially if your the only one or one of the only one that has one. Suddenly u have all these friends that want to go out all the time and it turns into more of a hassle than a good time. Hope it works out ofr ya and you get back into it. For us its definantly a family affair. We all ride and all love it!! LOL, Now if someone would buy this stupid boat! Well actually winter time is when alot of people start looking. U might get lucky and off it real soon. Good luck. I'm sure I'll sell it soon. I've listed way lower than everyone else sells this boat for! Being a 22 foot with V8 helps too! Why did you guys let me do this???????!!!!! I'm excited though. My wife and I are planning to both get new quads. She wants a utility this time around and I'm going to get a nice YFZ! If anyone knows someone looking for a boat, here's my listing. It's listed $2000 cheaper than most people sell them for. Don't get me wrong, I love Banshees and always will. HOWEVER, I've owned two and it's time for a four stroke. When my wife had hers I found myself riding it more than the Banshee. For anyone who don't remember, here's the Banshee and my wife's YFZ, both of which are sold now. Junky. He's said several times hes looking towards a YFZ!!! Im the same way Jaso. I love my shee, but i find myself riding the wifes 416 i built a couple summers back. 4strokes are a blast to ride. Alot more tame and a little safer to get crazy and stupid on. lol. There definantly two different types of riding. I for one love them both and really like having one of each. Ive been considering selling my shee and getting a YFZ as well and building a full blown dune drag banshee. Its already kind of in the works. Junky, we sold her YFZ almost a year ago. LOL She never rode it so we sold it and paid a bunch of small bills off. So, here's my plan. I want to find an 08 SE (Orange and black) YFZ and start with some bolt ons. hell get a 3 wheeler!! i hear they're a blast to ride... i wouldnt know. mine's still in a million pieces lol. The boat is SOLD!!! The 2nd best day in a boaters life is when he buys a boat. The best day in a boaters life is when he sells it! Today was the best day of my boating days! Goodbye 22 foot money pit, hello YFZ money pit! Yes sir. 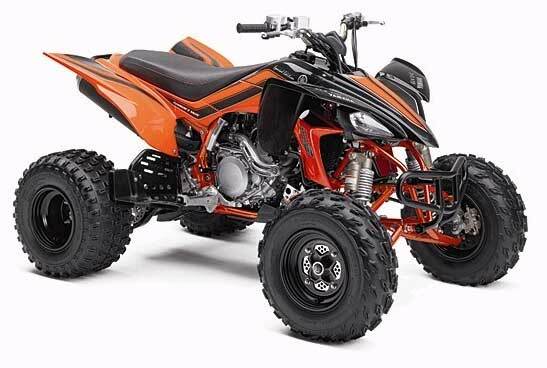 I really want an 08 SE (Orange/Black) YFZ. I won't settle for older than a 2006 and it MUST be showroom clean. If anyone comes across one let me know. I've got cash money, but I'm NOT getting in a hurry to buy one. I'll sit on the cash until I find a great bike for a great price. Right on dude. Let the search begin. Thats half the fun. Yea for sure man. I'm going to be annoyingly picky, but that will pay off in the end. Yes it will. Being picking can be a good thing. I dont no if your interested in the KTM 525 but I no a place in Oregon is clearing out on the 09 or 10 models for almost half price!!! Friend of mine went and got one for $5200 out the door. I gues KTM isnt going to import into the US anymore. This place bought a huge lot of them earlier in the year and is pretty much giving them away. If I had the extra funds I'd buy one or two if I could. There a crazy badass machine. alf how about you buy a ktm for me and ill pay you later..... waaaaaaay later lmao!! ill fly to oregon to pick it up and ride it all the way back to bama lol. LOL. Cant guarantee it will still be in new condition. it doesnt matter if i dont plan on paying for it nayway lmao!! !